The Bugaboo Parasol Dark Brown has been designed in such a way that it can be attached to all foam parts and the handles of the seat/bassinet frame to provide optimal and flexible protection against the sun. Lovely color!! And very easy to use. 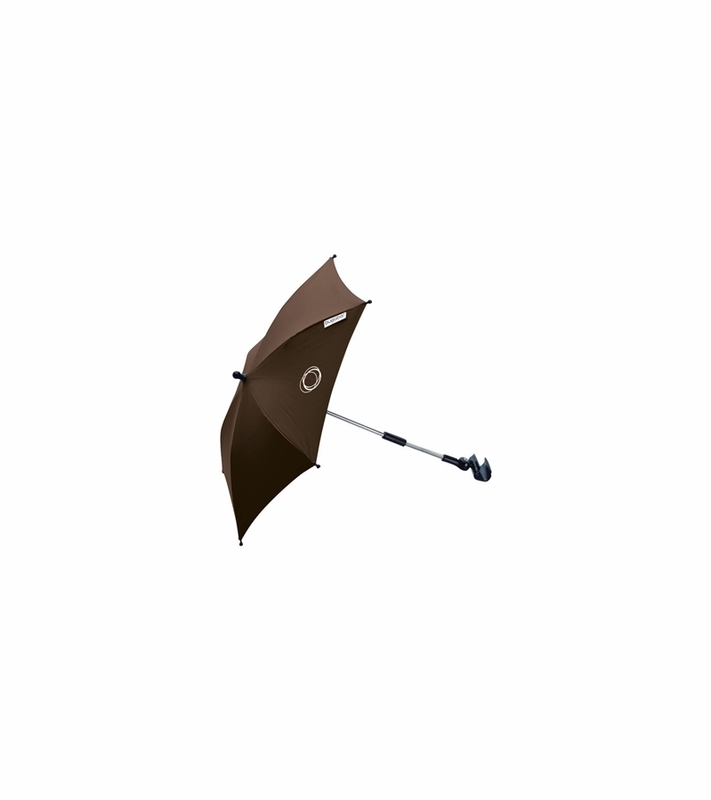 Only the part on the top, to change the direction of the parasol, I don't use anymore, because it's hard to fold it in if you use that to much. But you can still change the direction at the bottom! My girl is to big to have the canopy on, and with clip number one, you can clip it on the seat! Just perfect!